New Landing Page for FYWBTG! 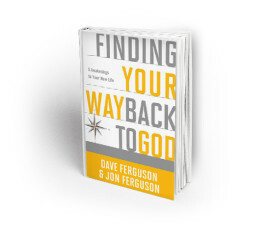 We are getting closer and closer to the February 24th publication of our book, Finding Your Way Back To God! The book now has an official landing page: www.yourwayback.org! The landing page will give you links to everything you’ll want to know including how to purchase the book, a few endorsements (including Rick Warren and Mark Batterson! ), some free resources, links to Dave & my websites and access to free sample chapters! Lots of great stuff. So take a look and share this link: www.yourwayback.org with all your friends, family, co-workers and neighbors! Throughout Jesus’ life we find him eating and spending time with people the religious elite of his day considered very questionable: prostitutes, drunkards, people on the margins: women, the poor, and ethnic minorities. He even ate with tax collectors who were considered the lowest of the low, as they were traitors who were willing to extort money from their own people in order to make a living. Even so, Jesus was invited into their homes, he shared meals with them, and even included some of them in his inner circle of closest followers. So, who would some consider to be the “questionable” people in my world? Would it cause some heads to turn if I spent more time with people who were of a different religion, ethnicity, or sexual orientation? Would people question me if they found me giving significant time to people who don’t talk like me, believe like me, or look like me? Then it occurred to me that I may be the only version of a Christ-follower some people have the chance to know. And if I’m not showing love to all people, especially those whom others may consider questionable, then what version of Jesus are people really seeing in me? Certainly not the version of Jesus that offered love and respect to prostitutes, included lowly shepherds as among the first to hear of his arrival, and gave women opportunities that were only reserved for men in his day. This whole notion of “questionable” people and relationships left me with this thought: The fact that Jesus loves a messed up, selfish, ungrateful sinner like me? That is a questionable relationship. I am the one who is questionable. People should question why Jesus would hang out with me. And on my good days, I recognize that. And on my bad days (which are more than I care to admit) I don’t. I fail to realize how undeserving I am of his love and grace; like maybe I am good enough; and others aren’t; like I’m ok, and well, you know “those” people, well, I’m not so sure about them. Thank God, Jesus still loves someone even as questionable as me! Today marks the end of an era in my house. 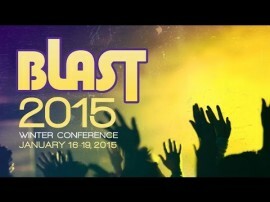 My son, Graham returned from his 7th year in a row at BLAST, our Student Community Winter Conference. He is a senior in high school, so this is his final year to participate as a student. This year over 1200 students and leaders converged on the Kalahari Resort at the Wisconsin Dells for a weekend of water-park fun, sleepless nights, and a series of experiences that continue to change the lives of countless students. There is nothing that would keep Graham or my daughter, Chloe, from participating in BLAST, and I continue to be incredibly grateful for the Student Community leadership who work so hard to make this happen year after year. As the conference comes to a close and the students return home, I felt compelled to express, from my perspective, why BLAST is such a significant experience. 1) BLAST lets a students know that he or she is not alone. Four years ago we made a move into the city that took us away from Community’s Yellow Box Campus where hundreds of students are involved in Student Community. One of our concerns in making this move was the impact it would have on our kids. We prayed lots. We talked even more. We described the move as an adventure that God was taking us on, but at the end of the day, I was concerned about how this move would impact them. While it has not always been easy, and we’ve worked hard to build, what is now the beginnings of a strong student ministry in the city, BLAST has been a very important constant that gives them tremendous hope and a great reminder that they are not on their own. 2) BLAST reminds students that they are not the church of tomorrow, they are the church of right now. Community pours thousands of dollars and hundreds, if not thousands, of man (and woman) hours into ensuring that BLAST is the most amazing experience anyone could want for a student. There are few events in the life of our church that get this much attention, and I love it because I believe it makes a statement to the kids, parents, and our community about the value we place on our students finding their way back to God. 3) BLAST provides tremendous momentum for our whole church. There is a ton of anticipation prior to BLAST as goals are set for registration, communication is ramped up, and details are put in place to ensure that the entire experience is unforgettable for every student who participates. During BLAST, videos are posted of the mains sessions, Facebook and Twitter are alive with posts and Tweets of all that is happening, and more than a hundred volunteer leaders also arrive to experience first hand what the students experience. And in the weeks that follow, stories of life change are told in celebration services and students return to their homes and schools empowered to follow Jesus in a deeper way. Sure, BLAST is huge for our students, but it is also benefits our entire church. It may be my son, Graham’s, last year for BLAST as a student, but it was this boy’s first year, and I can’t way to see the impact it will have on him and thousands of other students in the coming years! Yes, BLAST = Students Finding Their Way Back To God! Sway Session 1 – Where Are We Winning? #1 – “Where are we winning?” gets the meeting started on a positive note. Let’s face it, many meetings can get off to a tough start when we immediately dive into problem-solving or project management mode. Asking, “Where are we winning?” gives even the most challenging meetings a fighting chance for a positive start and end. #2 – “Where are we winning?” reminds us of where God is at work and the progress we are making on a multiple fronts. If you live in the future, and love to think about the next hill to climb or the next vision to cast, this gives you and your team members a chance to relish in the good stuff God is already doing around you before you take your next step forward. 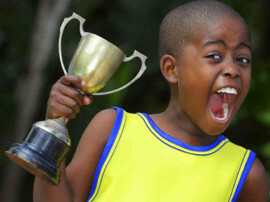 #3 – “Where are we winning?” gives everyone a chance to share something for which they are thankful or celebrating. We encourage everyone to share something that they are celebrating. It’s easy for people to clam up and be quiet in meetings, especially if they don’t tend to be vocal types anyway. Asking everyone to share something positive gets everybody in the mix right away. #4 – “Where are we winning?” loosens people up before you dig into some challenging conversation or hard work. I have found this to be true, especially with early morning meetings. The last thing you want to do is dive into a difficult conversation to start your day. Give people a chance to warm up a little first, and begin with a little celebration. #5 – “Where are we winning?” tells you what your people value. You celebrate what’s important to you. Listen closely to what your people are celebrating or where they say they are winning. It will tell you a lot about what they think is important. 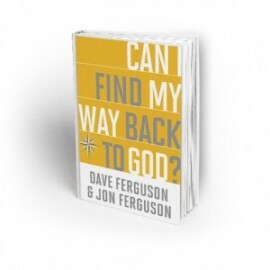 A short 60-page booklet titled, “Can I Find My Way Back To God” is available starting today! This is the first in a series of tools surrounding our new book, Finding Your Way Back To God. This booklet is designed to introduce the topic of finding your way back to God. This booklet can be bought inexpensively as a ten-pack and given away to friends, small groups or to newcomers at your church. You have all kinds of people close to you and that show up every week at your church that believe God exists, but struggle to connect with him. Or they live with the feeling that God has forgotten them. We all have something deep inside us that longs for a connection with God. It’s a part of being human. By sharing this booklet you can help people take the first step toward a life changing spiritual awakening, from confusion to purpose, from regret to love, and from distance to closeness with God. Once people read this booklet they will want to go further with the complete book Finding Your Way Back To God: Five Awakenings to Your New Life. She wrote: “Living a questionable life means making people turn their heads and wonder. They have to actually think and reflect on why you act the way you do, because it’s not what is expected, or easy, or typical. We all know someone like this. The person who goes out of their way to do good for others. The person who is always there to help and never asks for or expects favors in return. The person who forgives endlessly and inspires others to do the same. Is there anything about how you live, give, love or forgive that would cause people to wonder? Is there anything about how you show compassion or go out of your way to protect the oppressed or seek to lift up the down and out that would make someone pause and think for a moment? Is there anything about who you spend time or how you act or where you go that would cause people to ask questions? Are you living a questionable life? Dave and I had a great time working on this video trailer for our upcoming book “Finding Your Way Back to God.” Special thanks to Eric Bramlett, Michael McClure, and TJ Friezen for working their video production magic. They did an amazing job. We are also grateful for all who participated in the shoot as well as my friends, Matt and Judith, for letting us occupy their house for a couple of days. Enjoy! 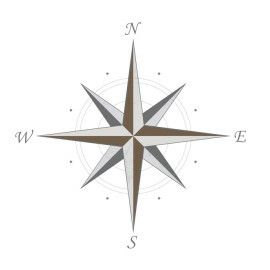 Finding Your Way Back to God? Occasionally someone will ask me, “Where did this phrase ‘finding your way back to God’ come from?” Here is the story . . .
With just a handful of people and little money, Dave and I along with our small group of friends, set out to found a church in the Chicago area. 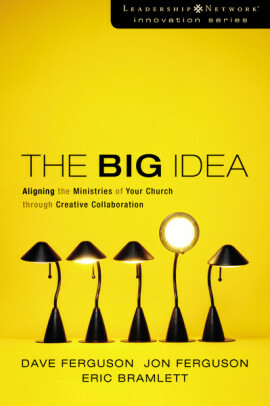 It wasn’t long before we discovered what the unique mission of our church was going to be. Early in the life of this new church, we went to an event for church leaders who were interested in developing small groups. Lyman Coleman led these training events all over the country. During one of the sessions that day, Lyman retold Jesus’s parable known as the story of the lost (or prodigal) son. Lyman told us his own story about how he was a lost person, who had repeatedly returned to the Father. With tremendous conviction, he reminded all of us that we are all prodigals who need to find our way back home. Then he urged each of us at the conference to lead churches that would welcome the countless people of all ages and from all backgrounds who want to find their way back to God. When we heard Lyman say that, Dave and I looked at each other, and we knew. Both of us realized at once that this would be our church’s mission: helping people find their way back to God. Sometimes we write it like this: fywbtG. Since we first decided that would be our mission, we have seen thousands of people find their way back to God. I am immensely grateful that God has given us a front-row seat to see this kind of life change over and over again. Now we are grateful for the opportunity to offer anyone who reads our book that same opportunity: to find your way back to God. If you do find your way back to God or have already found your way back to God, we would love to hear from you. On the home page of this website is a place for you to share your story. We look forward to hearing from you.